Danish Developer IO Interactive has clearly had a good year as their Hitman video game has been amongst the year’s best releases, and is also the first Hitman game to be released in a an episodic format, with IO teasing fans of the franchise that more seasons are yet to come. And in order to celebrate the Yuletide season, IO Interactive will be releasing a new mission for Hitman titled “Holiday Hoarders”, which will be available for free to all players of IO Interactive’s video game on December 13. This Holiday Hoarders mission takes place in the same luxurious Parisian mansion as the game’s first campaign mission, and in it players will have to stop a pair of pesky thieves by resorting to deadly force. 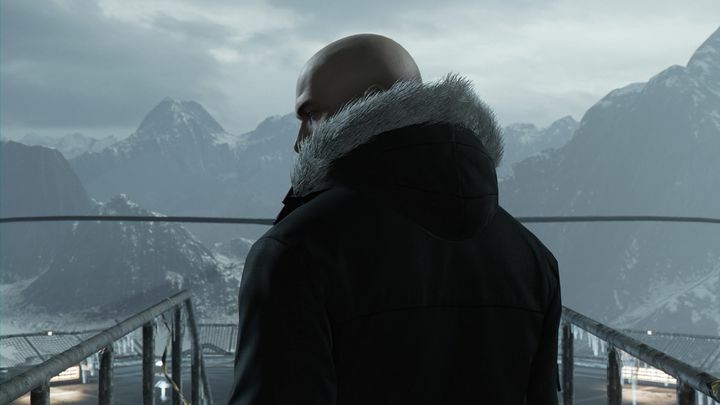 In the mission, the game’s protagonist Agent 47 will be able to use a Santa Claus disguise to catch the thieves unaware, and obviously will also be able to resort to his usual array of assassin gear to terminate his targets. Also, players will be able to make use of the content found in the Christmas presents these thieves are trying to steal in order to complete the mission, if they manage to get to the presents before the thieves do. And this being Christmas and all, IO Interactive will not only be offering this mission for free, but is also asking Hitman players to contribute whatever they can to the World Cancer Research Fund on their web page, which can be found here. 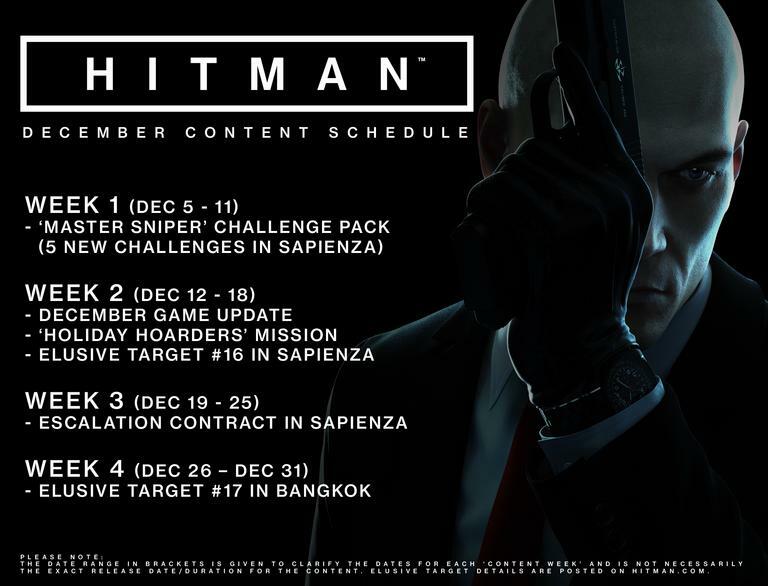 IO Interactive has also released its update schedule for Hitman, with new Elusive Targets, challenges and one additional Escalation Contract coming December, as can be seen in the image below. All this will undoubtedly be great news for Hitman fans, while it’s also clear that Hitman has been one of the top video games of 2016 so far, and it would be great if future seasons of IO Interactive’s game offered the same mix of great stealth gameplay and an intriguing story as this first episodic season of Hitman has offered players this year.